As the months of the calendar continued to flip, I have grimly stared down the barrel of my 40th birthday. I knew it was coming, but it crept up on me all the same. In the 35 years since I first picked up a controller, I have played a lot of video games and gone through many life changes. My passion for gaming has remained consistent, in an ever-evolving industry. I believe this evolution can best be tracked through my primary school years, college/my 20’s, along with 30’s to present. In 1982 I came home from kindergarten after a grueling day of learning my ABC’s to see my father fiddling with something in front of our Zenith color television. Dad did a bit of electronics tinkering in my youth so this was a common occurrence, but my 5 year old curiosity was piqued. After asking some excited questions I was told that my dad had acquired a broken Atari 2600. Though he never worked on a video game console before, he couldn’t resist cracking it open to give it a once over. An hour later I was called to the living room. Dad fired up the Atari and handed me this black joystick with a big orange button. I stared at the television in amazement. “Son, this is Space Invaders.” In a moment my young life was changed. As I sat there locked onto the screen, saving humanity, I heard the cry “Time for bed!” echoing from another room. Bedtime? How could I abandon my post? Earth was under siege and I had only begun to scratch the surface of my mission. It was then I made a cruel realization. My time spent gaming was about to be micromanaged for the next 13 years by an antiquated notion called “Parenting.” Looks like you and the aliens win this round Mom. Though my time with the joystick ended that evening, the die was cast. I was a gamer. 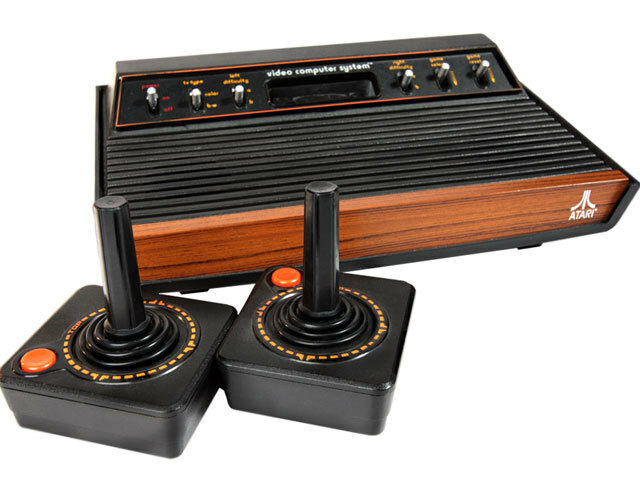 Almost 24 million Atari 2600’s were sold in North America. This much was obvious as friends and I traded stories about Asteroids, Pitfall, and this huge ape throwing barrels at a hammer wielding Italian gentleman (more on him later). A generation of gamers were being born and, as I advanced through school, all I knew was I wanted more. Soon I found the place that would scratch my itch. One weekend in 1984 my family and I were sharing an Orange Julius at the local mall when I wandered past this corner ablaze with lights and sounds I had never experienced. I begged my folks to let me inside and, after fishing through his Levis for some change, my dad gave me 4 quarters and let me loose. I had seen an arcade machine before, but never such an assortment assembled in one place. I ran through this long room laden with the pungent aromas of cigarette smoke, Aqua Net, and teenagers. People were everywhere and the numbers bear that out. Revenue from quarters for the arcade industry was estimated at nearly $8 Billion dollars in 1982. To put that staggering figure into perspective, that was more than the revenue generated from the music and movie industries that year combined. I knew my time was limited, so I made my way to an empty machine and threw my quarter down. I didn’t know much about kung-fu, but maybe this game could teach me. 72 seconds later I was looking for another machine. Turns out that day I wasn’t meant to learn the majesty behind martial arts. As it happens, Q-bert was more a 7 year old’s speed, so the rest of my quarters were spent jumping around a colored pyramid dodging a snake. My request to finish out the rest of my days in a room full of ROMs was denied, but luckily I would still waste quite a few adolescent hours there. 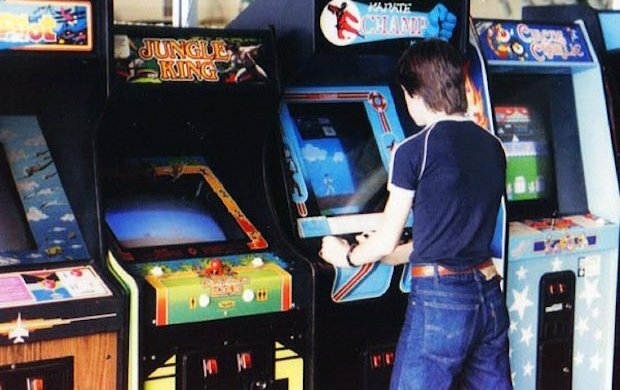 In his book The Ultimate History of Video Games, journalist Stephen L. Kent argues that 1983 began the rapid decline of The Golden Age of Arcades. Northeastern Pennsylvania, however, suffered from a dearth of entertainment possibilities. While many arcades were closing around the country, ours continued to thrive and would be the social space of choice well into my teens. 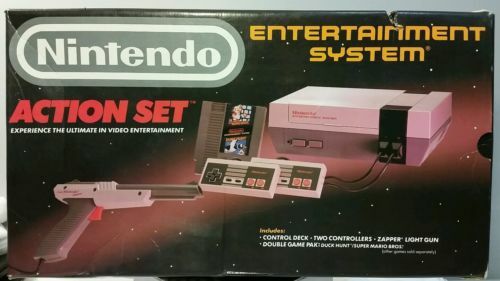 I spent countless hours on my NES. Rad Racer, Blaster Master, Ikari Warriors, Maniac Mansion and so many others. Wherever my young mind wanted to go, a cartridge could take me. I traded with friends and jumped at the opportunity to rent a new game whenever I could. I wasn’t alone in my gluttonous consumption of this product. Throughout the life cycle of the NES/Famicom, 500 Million cartridges were sold worldwide with an attachment point of over 8 games per console. Those are staggering software numbers. A few years later I would enlist in my first Console War. The Sega Genesis and Super Nintendo were both on the market and, when my opportunity came to upgrade, I had to make a difficult choice. History may be unkind to my decision, but for some reason I thought the game Altered Beast was awesome. No accounting for taste, I guess. While many consider the software lineup far superior on the Super Nintendo, my memories of my Genesis are tied to the many late night matchups of NBA Jam and ESPN National Hockey Night sitting on the couch with my father. He turned 62 this year and just bought an Xbox One S. Now we play Forza together, albeit on different couches. In the end, it was pretty easy to declare a victor in that war. The SNES/Super Famicom sold 49 Million consoles to Sega’s 29 Million. Wrong side of history? Nope. My memories aren’t tied to sales. The Genesis also did me another great favor. It introduced me to the genre of fighting games. While I had Super Street Fighter II and Mortal Kombat on my home console, I took those fights to the street so to speak and I was back in the arcade. These titles led to a renaissance of the arcade and my teenage self was more than happy to lead the charge. 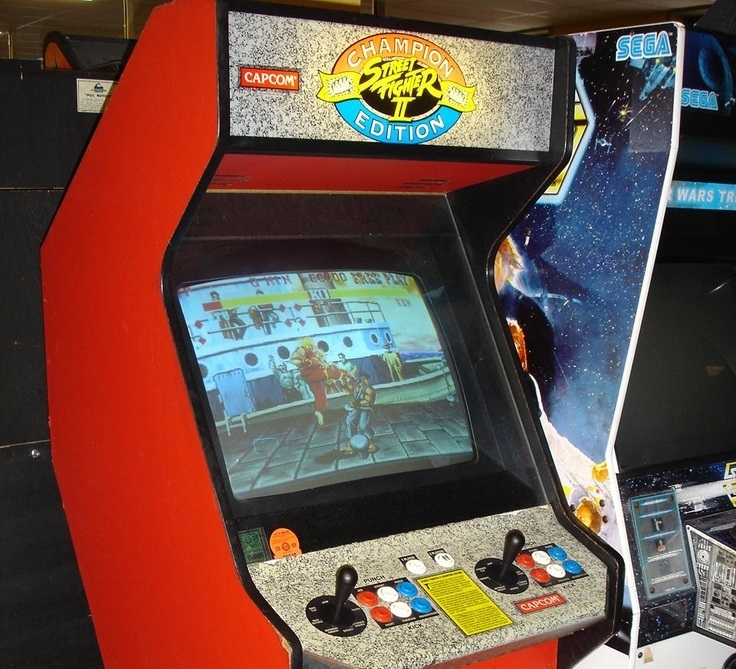 Most Saturday’s were spent practicing Dragon Punches and trying to get all the way to Shao Kahn on a limited supply of quarters. This renaissance certainly provided a boon to the arcade industry. In 1994, the arcade industry generated $7 Billion dollars in quarters, once again outpacing the home console sales of $6 million dollars. Hadoken indeed. In 1995 I graduated high school and set off on the greatest adventure of my young life. After spending 18 years living in the same house in Pennsylvania, I followed my parents on a move to Florida, where I would attend Florida State University. I showed up on campus having never visited and not knowing a single soul. My parents bought me some new clothes and some food and basically said “Good luck” as they went back to the new home they were trying to create. For the first time in my life, I was on my own. Part Two: College and My 20’s Coming Soon. Previous articleJungleDrums: Ep24 – RIP MS Paint, PUBG tournament, & more! Ever since that fateful day when an Atari 2600 joystick landed in his hands after a tough day at kindergarten, Tim Smith has been playing games. He loves his dogs, streaming, podcasting, sports, cooking, writing, and most of all, just making people laugh. So When Exactly Is a Video Game ‘Classic’ or ‘Retro’ Anyway?